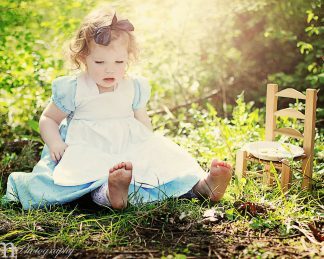 This costume dress provides endless dress-up opportunities as Little Bo Peep, Goldilocks, Little Miss Muffet, Jill (of Jack and Jill), and so many more. 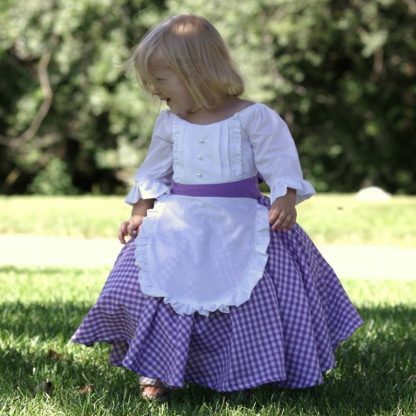 Add a bonnet for a prairie or pioneer look. It would be perfectly adorable for a tea party or birthday. 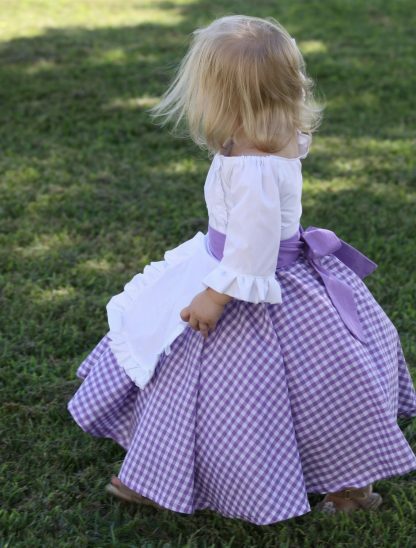 The top is beautifully detailed with ruffles, pleats, and little decorative faux pearl buttons. 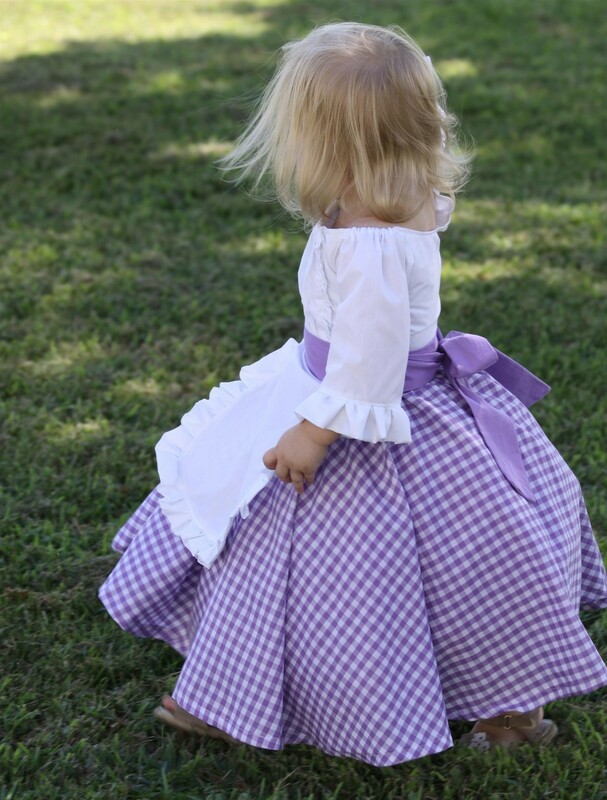 The 3/4 length sleeves have elastic at the shoulder and ruffles at the bottom. 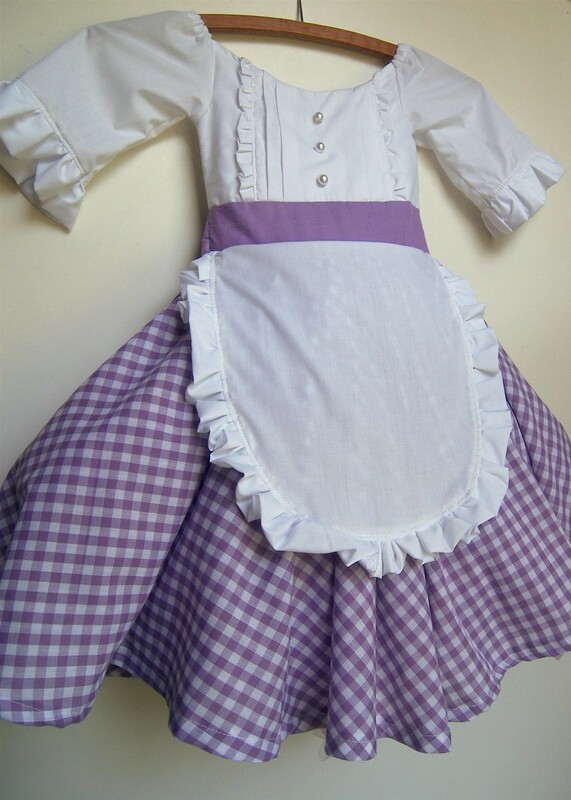 An attached apron has ruffled edges, too, and solid purple straps tie in back. 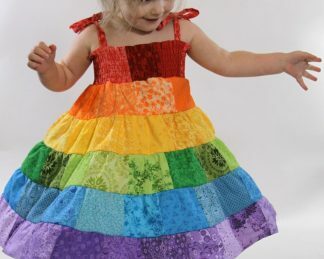 The skirt is a full circle, which gives a ton of room for a pettiskirt (I used one in the pictures, not included). 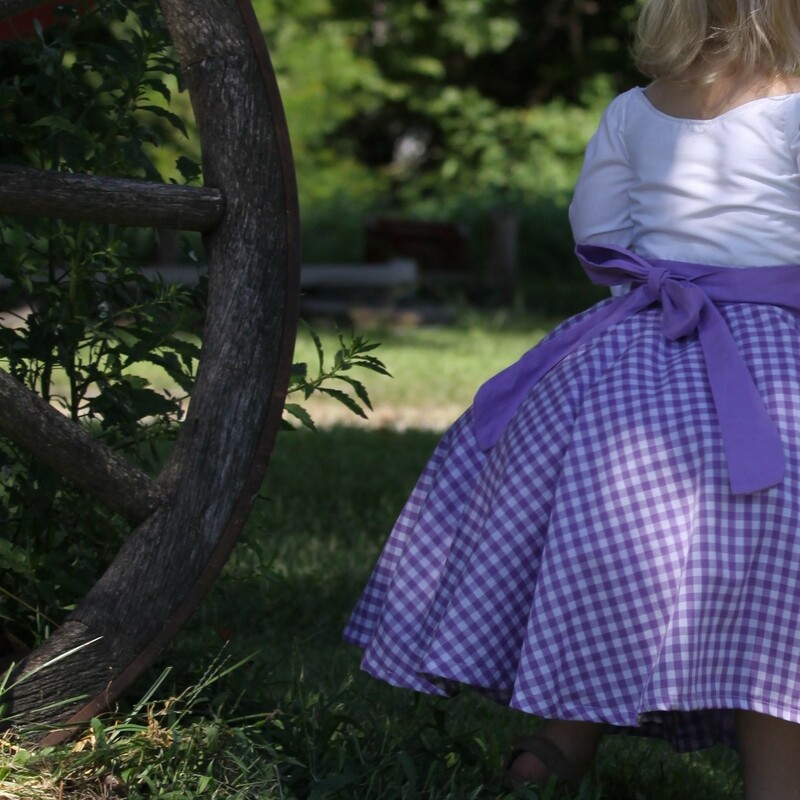 The skirt is made in a purple gingham print. 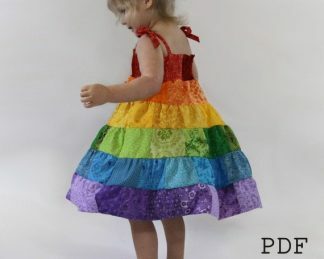 I can also custom make a dress to your specifications! Choose a different color or print, with or without apron, with or without bodice details, no buttons, etc. 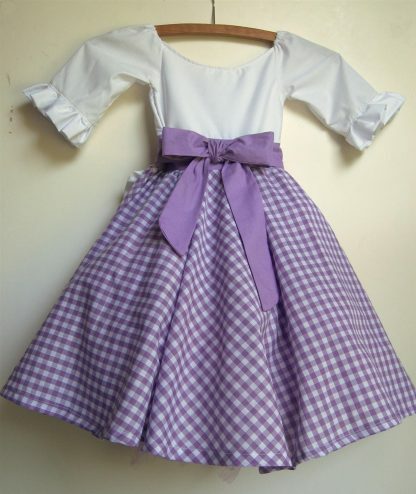 Please contact me for inquiries about custom work.